This presentation is aimed at underlying the principles, synthesis, characterization and applications of inorganic nanotubes (INT) and fullerne-like (IF) nanoparticles (NP) from 2-D layered compounds. While the high temperature synthesis and study of IF materials and INT from layered metal dichalcogenides, like WS2 and MoS2 remain a major challenge, progress with the synthesis of IF and INT structures from various other compounds has been realized, as well. IF-MS2 (M=W,Mo, etc) were shown to be superior solid lubricants in the variety of forms, including an additive to various lubricating fluids/greases and for various self-lubricating coating. Some new potential applications for these and related materials will be discussed in the fields high toughness nanocomposites; catalysis; rechargeable batteries. Selective optical coatings which reflect less than 2% of the light over 300-1100 nm will be presented. 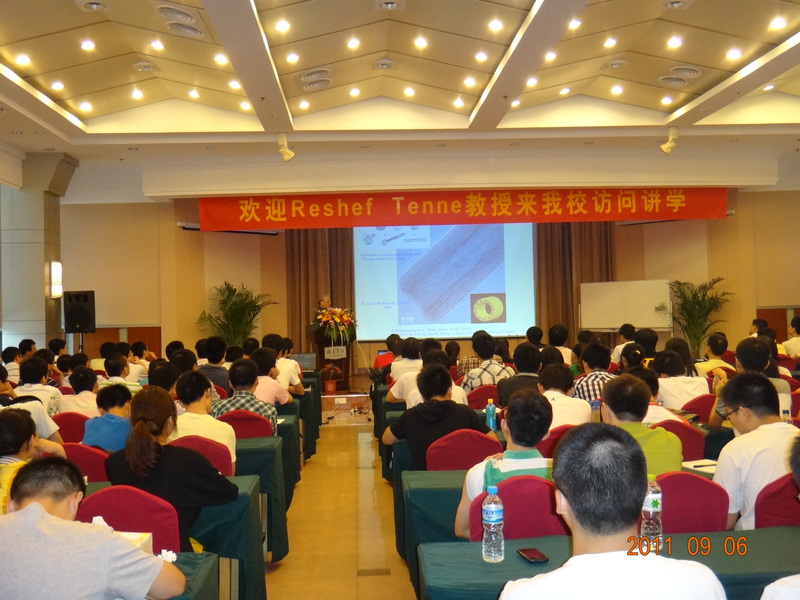 Such coatings may find numerous applications, among others, in capturing the solar light for thermal energy generation.